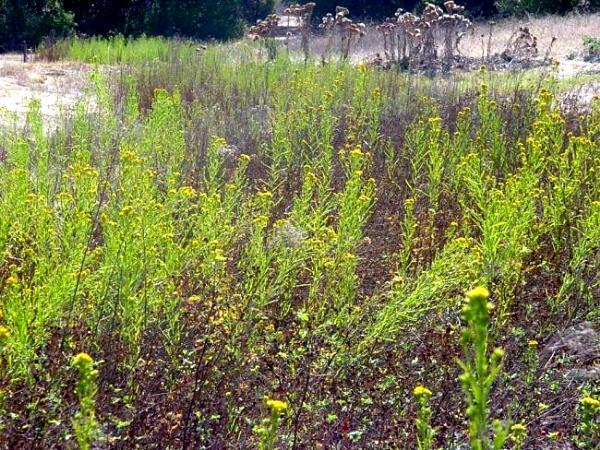 Western goldenrod or grass-leaved goldenrod is a stout, glabrous much-branched perennial arising from a rhizome and growing to about 6' tall. 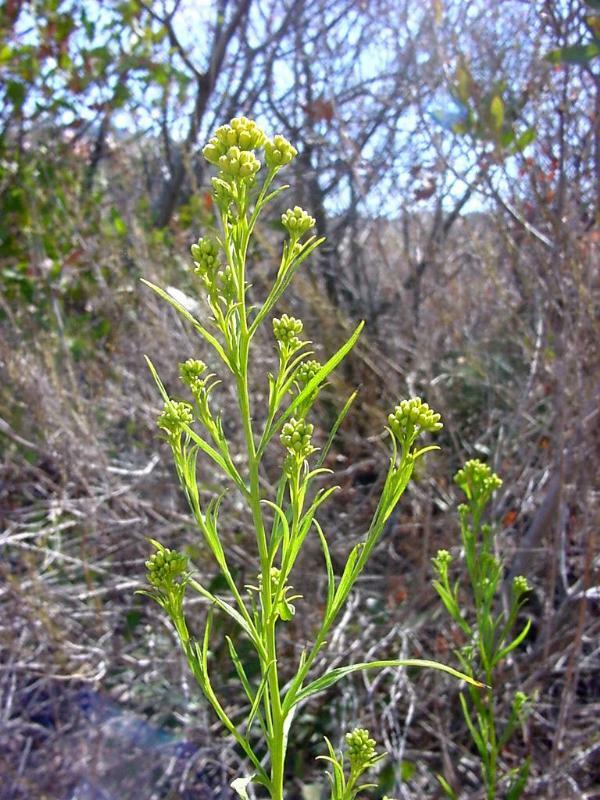 The leaves are long (to 4"), linear, entire, sessile and 3-5 veined with an acuminate apex. It is often found in wettish meadows, ditches, marshes and along stream banks, blooming from July to November. 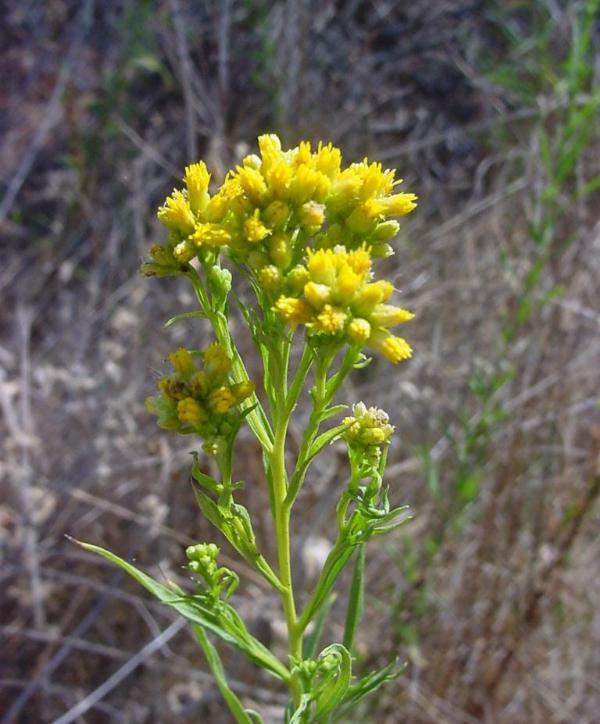 Western goldenrod inhabits both fresh- and saltwater marsh, valley grassland and sagebrush scrub almost entirely in cismontane Southern California, but extends to Northern California, British Columbia and the Rocky Mountains. 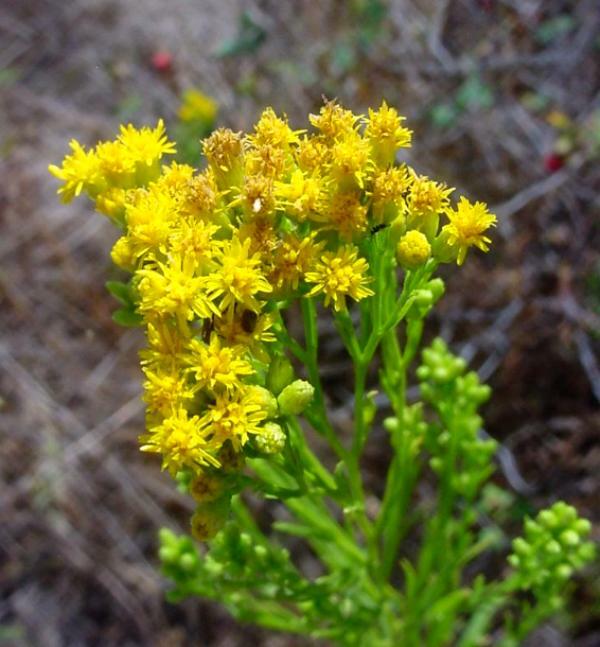 This species may be listed in some references as Solidago occidentalis. These pictures were taken at Arroyo Sequit in the Santa Monica Mountains National Recreation Area, and the last photo shows a drainage ditch through a grassy meadow which in a normal season would be wetter than it was in 2002. Note the cardoon (Cynara cardunculus) growing in the background in the fourth photograph..
Click here for Latin name derivations: 1) Euthamia 2) occidentalis.